alaTest has collected and analyzed 104 reviews of Disgo Tablet 6000 Touch Screen Tablet. The average rating for this product is 2.6/5, compared to an average rating of 4.3/5 for other products in the same category for all reviews. Reviewers really like the portability and size. The screen and price also get good feedback. The touch screen and reliability get critical comments. There are some mixed views about the usability. We analyzed user and expert ratings, product age and more factors. Compared to other products in the same category the Disgo Tablet 6000 Touch Screen Tablet is awarded an overall alaScore™ of 76/100 = Good quality. 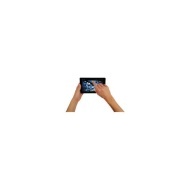 alaTest has collected and analyzed 66 user reviews of Disgo Tablet 6000 Touch Screen Tablet from Amazon.co.uk. The average user rating for this product is 2.4/5, compared to an average user rating of 4.3/5 for other products in the same category on Amazon.co.uk. 52% of the reviews on Amazon.co.uk give this product a positive rating. The Disgo Tablet 6000 looks like a well priced Android tablet on paper, but dig a little deeper and some serious flaws make using it a frustrating experience. VERY HARD TO JUDGE THIS PRODUCT AS IT WOULD NOT WORK AND WE HAD TO SEND IT BACK! force close on games (ones that require abit of processor to run easily newest update stopped certain items running after update built in apps like Gallery has force closer or not setting background (due to camera) which disgo 6000 doesnt have ? small, shows time and weather. Can't access my email, can't listen to streaming radio, many media programmes do not work, video low quality, heats up quickly, freezes. Overall size, upgradeability, HDMI connection, USB connections, built in stylus PRICE!! Seems a bit slow, having a few 'crash' issues with applications, lack of some features (auto screen rotate, camera). Cheap decent sized tablet good for basic tasks, screen worked well once calibrated, stylus use more accurate. Not an official google Android product so no access to Android Market Android 2.1 only, no update on Disgo site. Alternative markets offered appeared to give you apps from questionable sources.